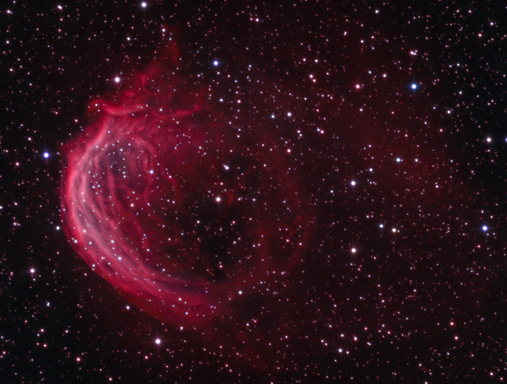 Sh2-188 (Sharpless2 188) a planetary nebula that is moving through the Inter Stellar Medium. 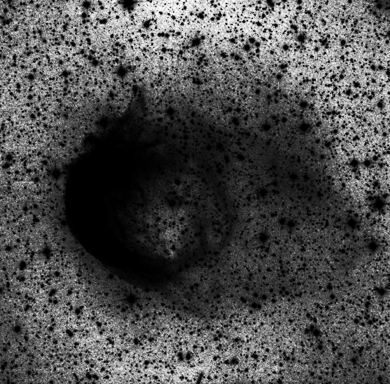 The nebula is considered to be one of the most extreme examples of planetary nebula and ISM interaction. The bright parts of the filamentary rim is the shock front with a faint tail of material stretching away. See the AJ paper linked Here. 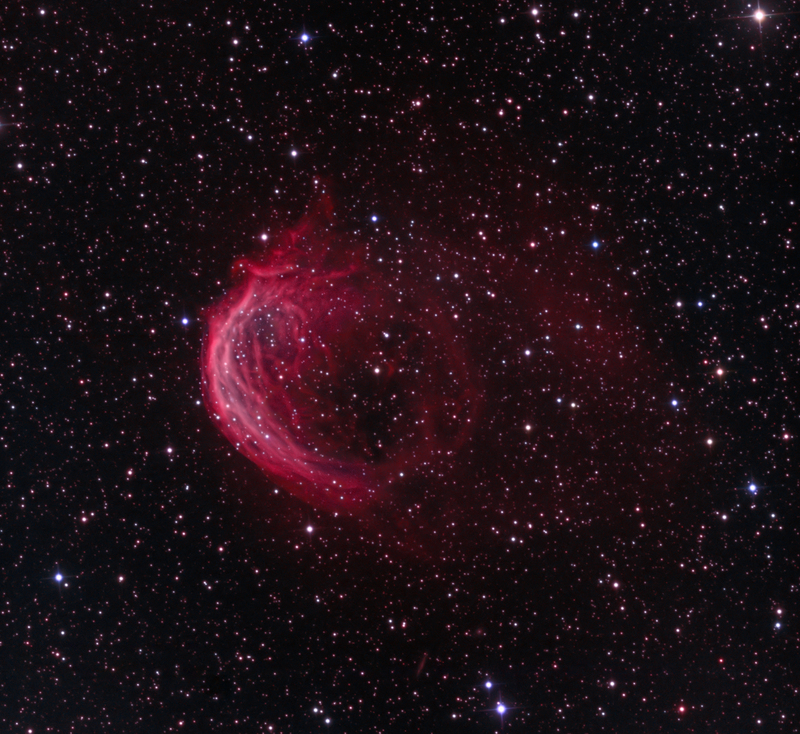 Sh2-188 (Sharpless2 188) revealed with over 37 hours of total exposure time with Astrodon narrowband filters.